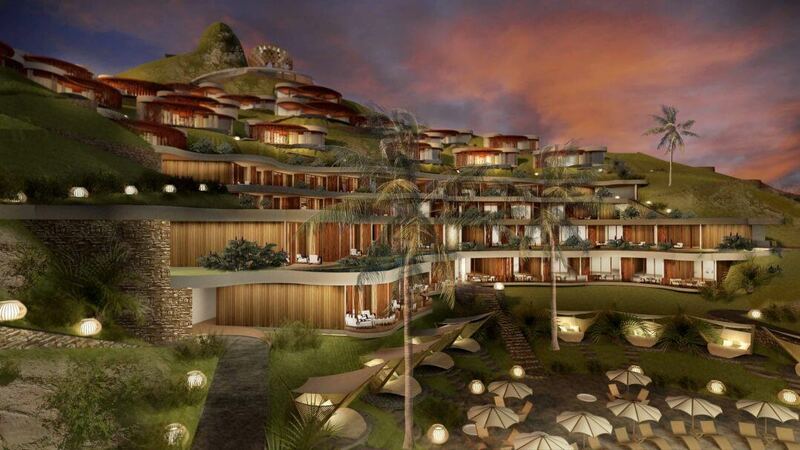 This ground breaking resort is situated on the iconic headland on Serangan beach in the South of Lombok. 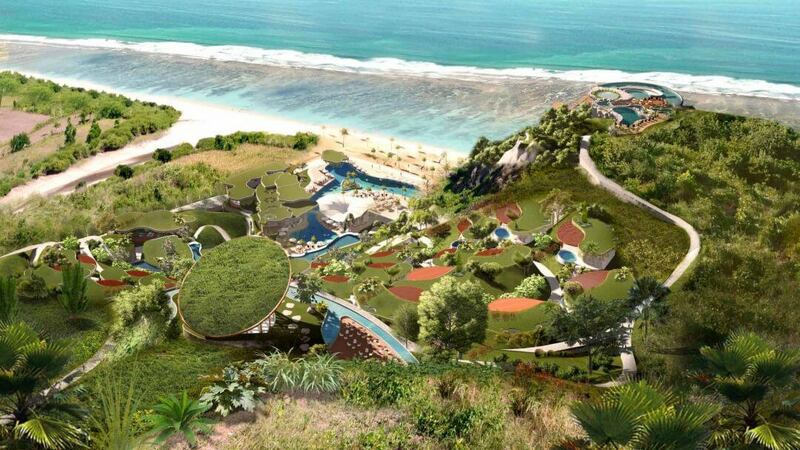 Comprised of hotel suites, private villas, residential villas, beachclub, spa, and fitness center, this resort provides a multidimensional application on to the hilly landscape and with it an environmentally conscious vision. 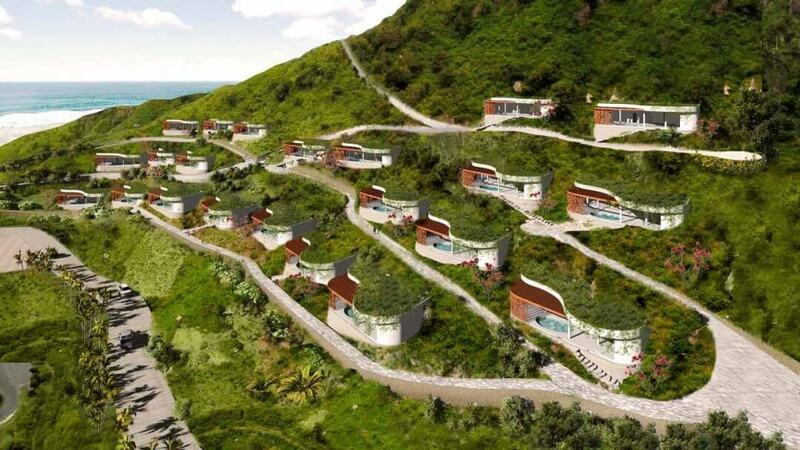 With an array of landscaped green roofs and buildings merged into the hillside, the development becomes part of the serene landscape. Forms and flow are smooth and organic like the natural terrain that surrounds it. The stand out building is the restaurant that floats out from the top of the headland itself. As the defining point of the resort, it offers panoramic views across the coast line with an aesthetic that compliments its focality. Rounded in mass and embodied in natural textures it comprises greenery and cascading pools which are immersed into the existing rock. 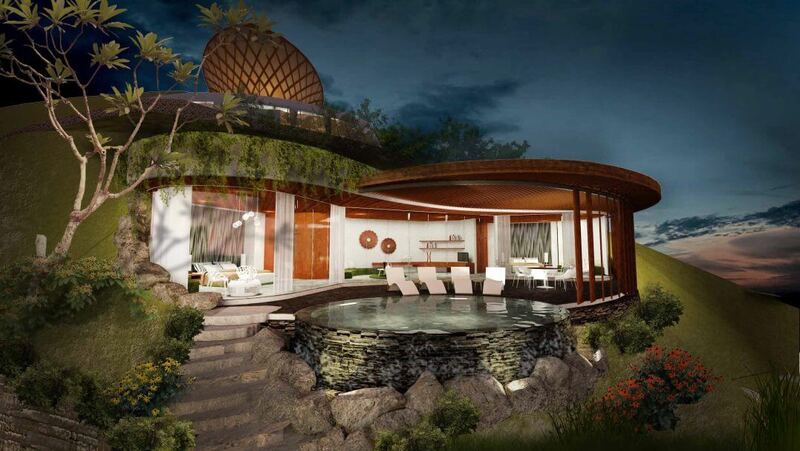 These textures include materials that are locally sourced such as strand woven bamboo, Lombok green stone, recycled teak, lime renders and rock extracted from the site. This not only reduces the carbon footprint but adds to intentions of sustainable building. In turn, this compliments technologies such as water recycling, synthetic polymer fiber reinforcement as a replacement for steel, solar thermal hot water, energy reducing smart systems, extended heat insulation, low energy electrical applications, solar shading and the channeling of sea breezes for cooling, evaporative effects and ventilation. Strategic placed facilities such as the beachclub, spa, wedding venue and outdoor activity centre, each have a continuation of the overall language of the design, whilst adding key aspects to define their own position. 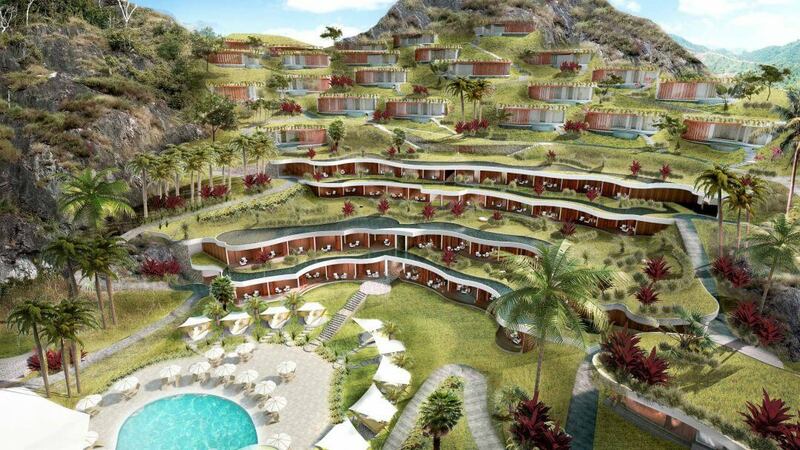 This creates further interest within the complex providing destinations within the entire destination.